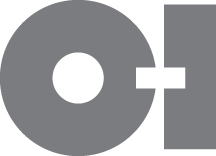 PERRYSBURG, Ohio (Feb. 19, 2019) - Owens-Illinois, Inc. (OI) today announced that the Company will participate in the Bank of America Merrill Lynch 2019 Global Agriculture and Materials Conference on Wednesday, Feb. 27, 2019, in Fort Lauderdale, FL. O-I Chief Financial Officer Jan Bertsch will present at 11:30 a.m. ET.